It’s finally time for UFC 225, fight fans. 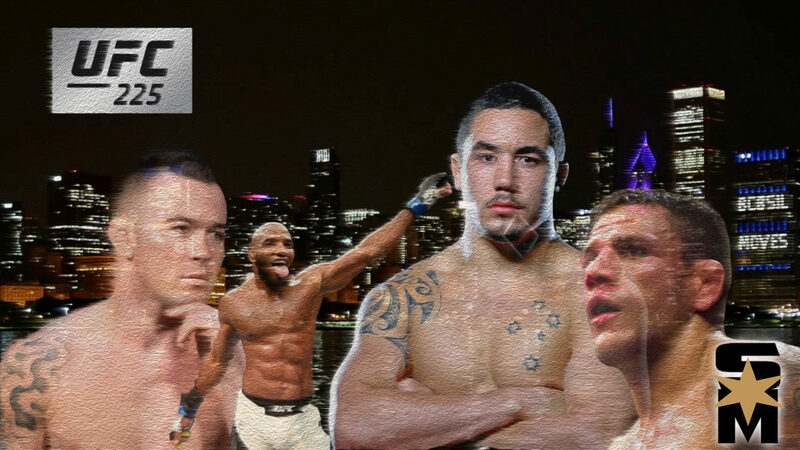 As the UFC descends upon the United Center in the Windy City, it brings with it a fight card chock-full of tried and true fighters. Arguably one of the best UFC cards in recent memory — Whittaker vs. Romero 2, Rafael Dos Anjos vs. Clay Covington (with a side of Joe Rogan), Holly Holm vs. Megan Anderson. This fight card starts with a bang and won’t end until it finishes with one. While we were supposed to see another championship fight, Romero failed to make weight, again thus relegating the fight to a non-title affair. UFC 225’s main event features the rematch of 27-year-old middleweight champion, Robert Whittaker (20-4-0), versus the No. 1 middleweight contender, Yoel Romero (13-2-0). 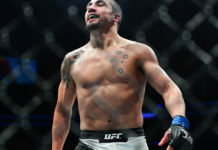 The two fought in July 2017 and the bout went the distance, with Whittaker winning by decision, although Romero had four successful takedowns. With the victory, Whittaker became the interim middleweight champion, and was named the undisputed champion after the title was vacated by Georges St-Pierre. Romero won his last fight decidedly as he finished Luke Rockhold in Round 3 on Feb. 10th, a fight which was originally set to be the interim middleweight title bout. Unfortunately, Romero again missed weight, taking away any interim title opportunities. Apparently, his victory was enough to earn the rematch, as well as a chance at Whittaker’s belt, and why not? Whittaker, a winner of his last eight fights, last lost at UFC 170 in early 2014. He is an unconventional striker with incredible knockout power (50 percent of his wins coming by way of KO), lands significant strikes at a rate of 4.77 per minute, 1.71 more than Romero. Across the octagon, Romero has earned 85 percent of his wins by way of KO or TKO, and 15 percent coming via submission. Punches will fly in this match. 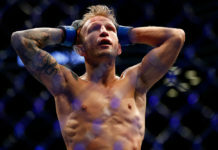 The rematch had all the makings of a huge title fight: A rematch after a five-round unanimous decision (which also won Fight of the Night honors); the champ versus the No. 1 contender, who had won eight in a row before being defeated by Whittaker in the first fight, with his prior loss back in 2011. To say Romero is hungry would be selling him short, although this became easier to laugh at after he missed weight twice. Too much In-N-Out once he got here. Can you blame him? Meanwhile, Whittaker’s title defense will have to wait for another day. Obviously, with Romero missing weight, it changes the landscape. His weight was cut rather intensely, and — according to sources — Romero even had to be helped onto the elevator after the weigh-in. But the fun doesn’t stop there! 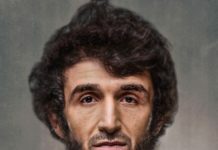 UFC 225’s co-main event features the No. 1 welterweight contender Rafael Dos Anjos (28-9-0) taking on the division’s No. 4 contender in Colby Covington (13-1-0). Yikes, hopefully Covington hasn’t gotten so far involved with Rogan that he is distracted from his actual opponent in Chicago, because Dos Anjos is no joke (and neither was Rogan’s show, “Fear Factor,” especially when they used scorpions and giant spiders). Dos Anjos has won his last three fights two by way of unanimous decision, and one by way of submission (vs. Neil Magny). He has also won 13 of his last 16. Even the UFC describes him as having “underrated power”. That power, coupled with his Jiu-Jitsu background, will make for an interesting matchup against the wrestler in Covington. The main card also showcases a women’s featherweight matchup featuring the former champion Holly Holm (11-4-0) vs. Australian born Megan Anderson (8-2-0). Anderson, the 28-year-old Muay Thai fighter will be making her UFC Debut. Anderson’s MMA career began in 2013 after a stint in the Australian army. She is the former Invicta FC Featherweight Champion and was slated to defend her title prior to being signed by the UFC. Anderson has won her last four MMA fights by TKO so to say she is a dangerous striker would be a severe understatement. Holm has had an interesting run in the UFC to say the least. If memory serves, Holm dethroned the seemingly “unbeatable” Ronda Rousey with a Round 2 knockout, then lost the title in her next bout to Miesha Tate. Holm then lost to Germaine de Randamie, followed by Cris Cyborg in title fights. Both went the distance, with Holm losing by unanimous decision. After losing four of her last five fights overall, there is no question Holly Holm is looking to bounce back and get on the path to the title. As if that’s not enough fight action for UFC fans in Chicago (hell, around the world), don’t miss the early prelims, which features a light heavyweight matchup between Rashad Evans and Anthony Smith. At 38, Evans is back in the octagon after his split decision loss to Sam Alvey in August of 2017. The interesting storyline here is Evans hasn’t won in the UFC since he beat Chael Sonnen at UFC 167 back in November of 2013. Meanwhile, Smith — the Jiu-Jitsu practitioner — is no slouch and happens to be a very effective striker. 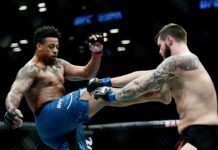 Although he lost his last fight to Thiago Santos back in February, he won all three of his previous fights decisively, knocking out Elvis Mutapcic, Andrew Sanchez, and Hector Lombard. We’ll also be treated to a heavyweight bout between two of the division’s top contenders. The number two ranked Alistair Overeem (43-16-0, 1NC) takes on fourth ranked Curtis Blaydes (9-1-0, 1NC). A quick look into the UFC fighter profiles for these two paints a pretty clear picture as to what type of fight we can expect from this pair of 6-foot-4, 265-pound strikers. Words like “cardio, strength, aggression” for Blaydes, counteracted with “power, athleticism, experience, striking” on Overeem’s side. Overeem lost his last fight to Francis Ngannou in December of 2017 but won his two previous fights against the likes of Fabrico Werdum (majority decision) and Mark Hunt (knockout). Blaydes enters the octagon after winning his last three fights against Daniel Omielanczuk (unanimous decision), Aleksei Oleinik (TKO), and Mark Hunt (unanimous decision). It’ll certainly be fun watching these two monsters tee-off on each-other. UFC ratings and popularity is on the rise, and UFC 225 should not do anything but add to the excitement as it gears up for UFC 226 here in Las Vegas in early July, so — buckle up, UFC fans. Order some Metro Pizza, grab some suds from the nearest Lee’s, and settle in for a fight card you may never forget.